Here are the amazing pictures of my lovely English bride, Rachael, who got married to her beau, Alex, last August. Rachael is a very special bride to me as she literally flew in from England just to meet me and my dresses! 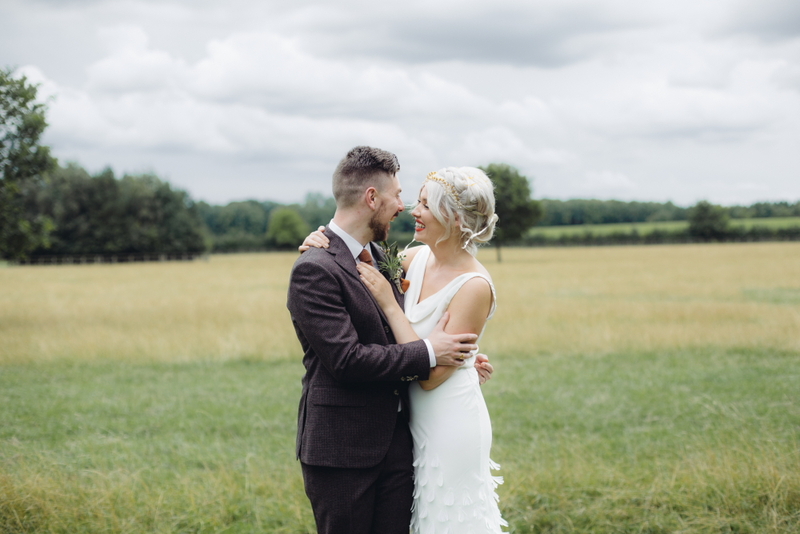 She discovered my work through a wedding blog and fell in love with the Iris feather dress. Luckily, once she tried it, it suited her like a charm! We then met several times during the year so that I could replicate the dress to her exact measurements and it was such a pleasure to work with her and her bubbly personality. Rachael perfected her look with an amazing pair of Charlotte Olympia gold pumps and a beautiful Isobel Hind headpiece. Doesn't she look stunning? Obviously her groom is quite the stylish man too. 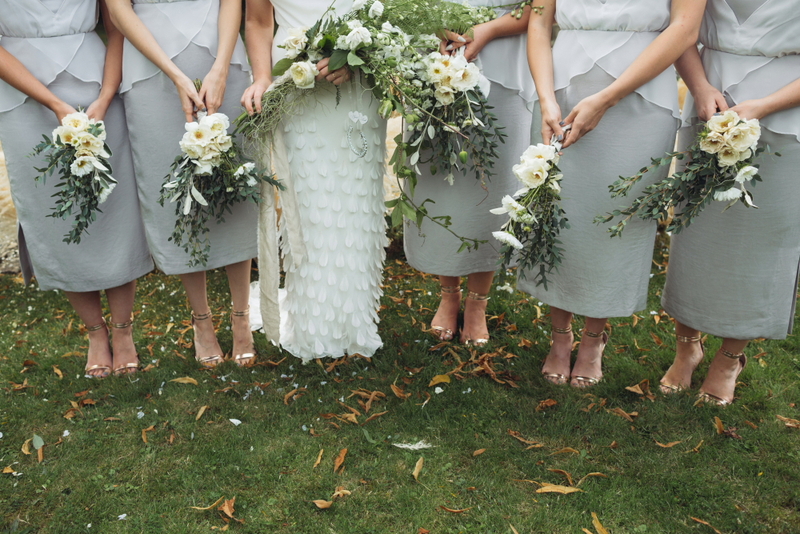 On and all, the perfect English countryside wedding. There's only one thing left to say: All the best to the happy couple!